California based chain, zpizza has mastered a fantastic recipe for crispy gluten free pizza crust and their topping combinations are pretty special too. Accommodating both vegan and gluten free customers, zpizza offers vegan cheese (that’s also gf), organic tomato sauce and a full ingredient list to ensure the order fits your dietary requirements. My favorite was the “Tuscan”, a pizza made with roasted garlic sauce, mozzarella, truffle oil, and topped with caramelized onions and mushrooms. 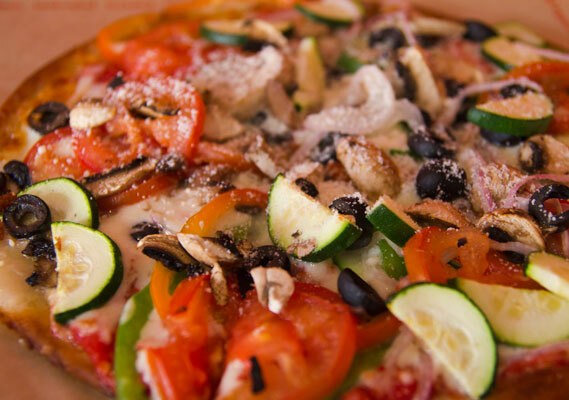 For a fresh, vegetable lover’s pizza, the “California” is a perfect choice. Gluten free crusts come in both small and large sizes, pictured above are both smalls: plenty for two people with a couple slices leftover to take to-go. 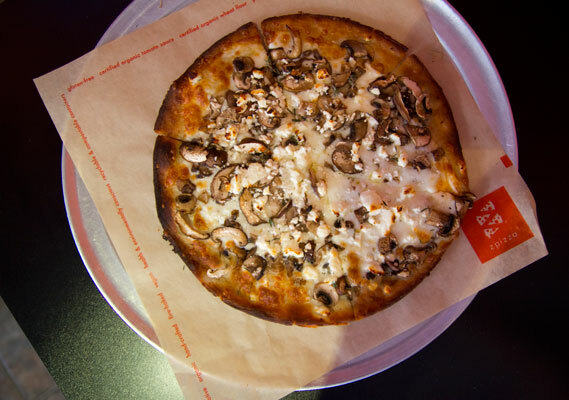 Zpizza has locations across the country, but the health savvy chain is fairly new to San Francisco and another one just opened in Petaluma. It’s great to have a reliably good gluten free pizza crust not only at multiple locations in the bay area, but also available all over the states. *Although zpizza does not claim to be a gluten free environment, precautions are taken to isolate ingredients and avoid cross contamination.